The DDG maintains an extensive archive of photographs accessible online. These photographs are free for use for any purpose that supports the Diocese of the Dominican Republic. The DDG’s archive of photographs is available through Google Photos. To access an album, click on one of the links below. 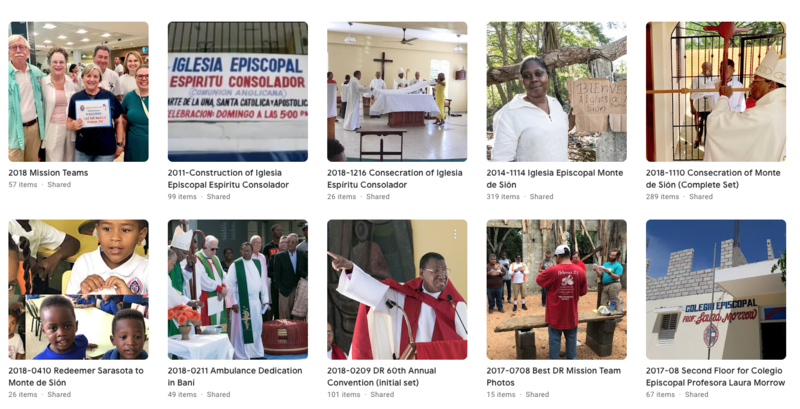 Any album or individual photograph may be downloaded and used for any purpose that supports the Diocese of the Dominican Republic and the work of many mission teams. For more information, contact Julius Ariail at communications@dominicandevelopmentgroup.org. Please note that this feature uses Google Translate and the results are only an approximate version of the original.